RCE Greater Western Sydney (RCE-GWS) and Western Sydney University’s Learning Transformations (opens in a new window) is hosting the 11th Asia-Pacific RCE Regional Meeting (A-P RCE Meeting) in Parramatta, Sydney, Australia from 25 September 2018. This will be held in conjunction with the Symposium ‘Mainstreaming the SDGs: Impact and Education’ on 26 September and will commence with the first Asia-Pacific Youth Virtual Summit held on 24 September 'Youth for the Goals: Climate Action and Life Below Water' as part of the first Youth SDG Challenge 2018. Field trip visits will follow on 27 September. This event is an initiative of the University's 21st Century Curriculum Renewal Project (opens in a new window), which supports our cross disciplinary flagship sustainability work. All the events are hosted by RCE Greater Western Sydney and Western Sydney University with the support of the United Nations University Institute for the Advanced Study of Sustainability (UNU-IAS). Bookmark the Event Package to keep you on track throughout your visit! Please download a copy of the RCE Asia-Pacific Regional Meeting and Symposium program (PDF, 617.27 KB) (opens in a new window). View the Event Package for more information. The AP RCE Meeting and Symposium will be held at the Parramatta 1PSQ City Campus (opens in a new window) at 169 Macquarie Street, Parramatta, NSW, Australia. Registrations to attend are required. 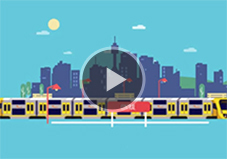 Public transport - use the interactive travel planner on Transport NSW (opens in a new window) for up to date travel information. 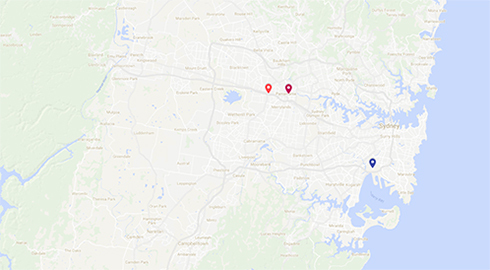 The venue is located approximately 25 - 45 minutes from Sydney CBD via train. Walk - The Parramatta City campus at 169 Macquarie Street is less than a five minute walk from Parramatta train station. Drive - You are encouraged to view the Parramatta CBD map [PDF, 563Kb] (opens in a new window) for parking options in this area. Please note NO on-site parking is available. If you are staying at the Ibis Budget Wentworthville, transport to the venue will be provided by RCE-GWS. Map - Parramatta City campus map [PDF, 800Kb] (opens in a new window). Transportation from/to the hotel and to/from the venue will be provided by RCE-GWS on Tuesday 26 September and Wednesday 25 September. A light breakfast will be provided at the venue prior to registration on Tuesday and Wednesday for participants registered as staying at this hotel. You must pay in full by 11:59pm, Friday, 10 August 2018 (AEST) to secure your reservation. Please note: It is essential that payment is received by this date to secure your room booking. If payment is not received by this date/time, a booking will not be made on your behalf and you will have to source your own accommodation and manage your travel arrangements. The easiest way to get to your accommodation/venue is via train. For more please see the public transport planning and information (opens in a new window) website. Deadline for submissions is now closed. How this links to the SDGs and what targets this initiative addresses? These presentations will be maximum of 5 minutes, with strictly 1 presenter from each RCE. The power/sound will shut down once your time limit is reached. You will be notified when you have minute to conclude your presentation. Please submit your slide by 17th September 2018 to RCE-GWS for inclusion. For enquiries contact the Support Team.